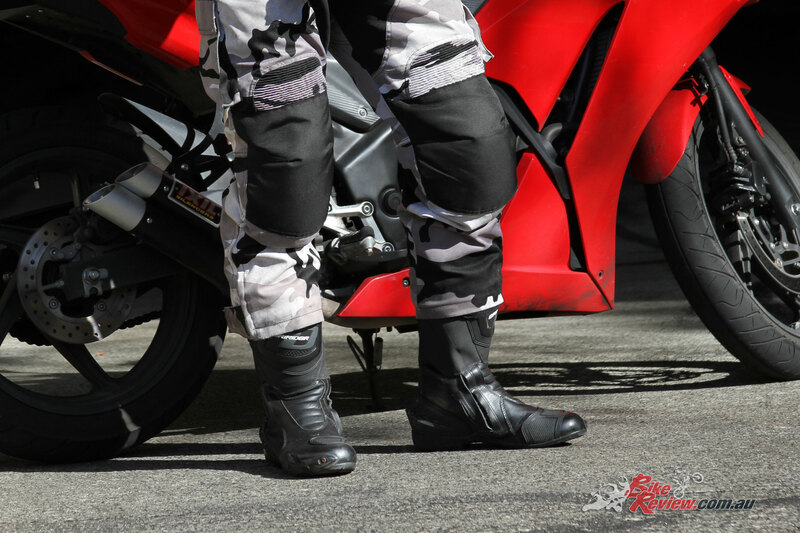 While browsing online, I stumbled across the DRIRIDER Stealth Boot, a simple, waterproof sports boot, which met my needs of a boot I could wear on daily rides in comfort, not too bulky, but with enough protection there in the case of an accident. 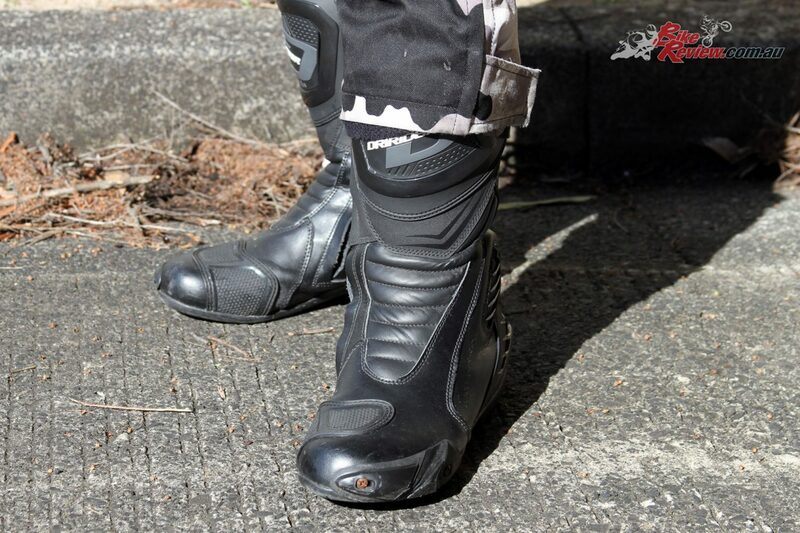 The Stealth Boot is my go-to boot for everyday riding. 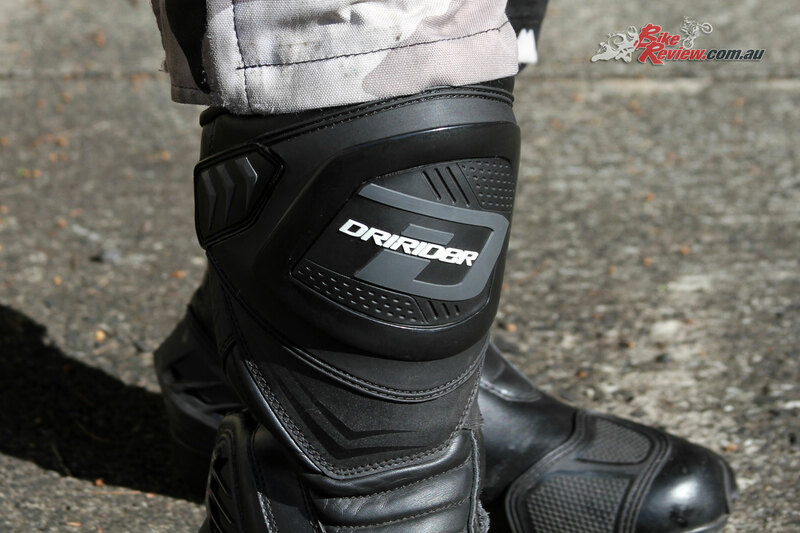 Starting with the comfort, DRIRIDER lines the Stealth boot with a ‘polyester lining with open cell foam’, and it really is comfortable, with a soft, supportive feel that doesn’t lose its comfort after daily use. 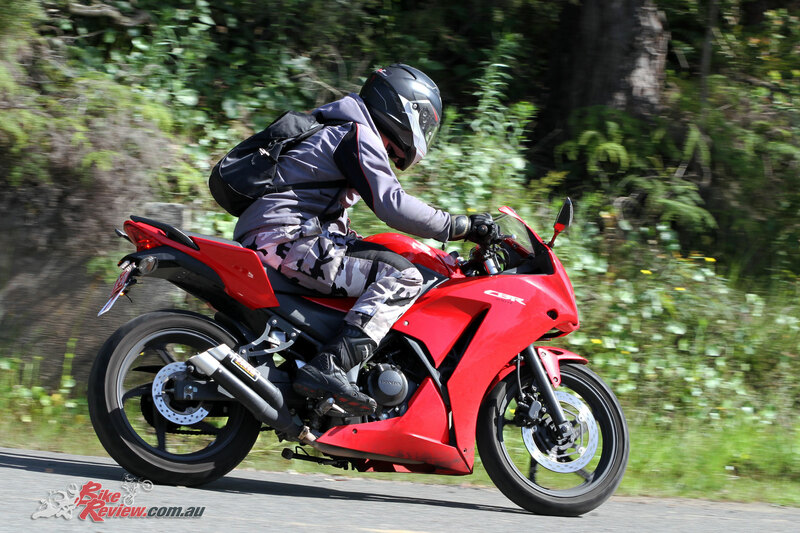 The Stealth boot also offers good feel and control when using the bike’s controls. 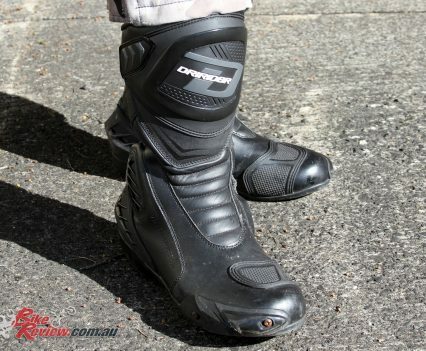 Some boots that I have used have been bulky and didn’t feel right when resting on the rearsets restricting feel and movement, however this boot was great, and ensured I really did feel at home on the bike. The TPU shift pad is also a great addition to the boot, giving the boot a sporty vibe, helping with making positive shifts and limited wear to this section of the boot. The CE certified Stealth boot offers protection thanks to a TPU moulded heel, shin and ankle guard, EVA foam in the flex panel, an anti-twist moulded nylon midsole, and a vulcanised high density anti-slip sole, all without compromising comfort. The material used for the boots construction is PU leather, which is part of the reason for the competitive price. 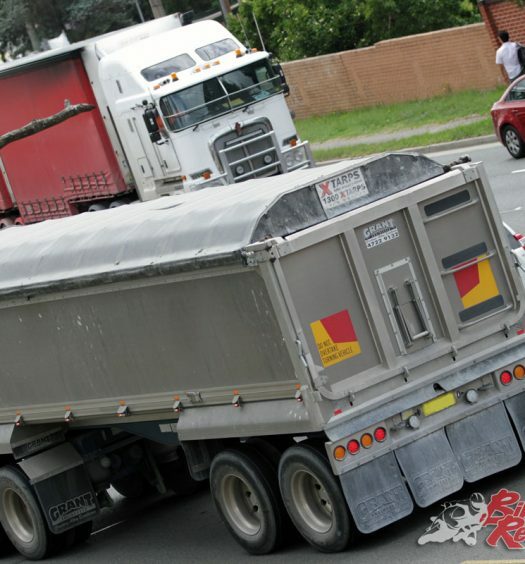 This boot is road-orientated sport/touring option and is obviously not a top of the line track boot. For some the lack of adjustment in the boot may be an annoyance, with no ability to tighten and secure the boots in specific areas. I personally found the fitment of the size 43 boot just right, with a nice secure fit around the lower calf and ankle, while this kind of adjustability is normally found on far more expensive options. The boot is also waterproof, which is a bonus when looking for an everyday riding boot that will be used in any condition, and while the boot’s styling may be simple, it is still sporty and a design I can appreciate. Having owned these boots for a few months now they are the boots that I choose day in and day out. 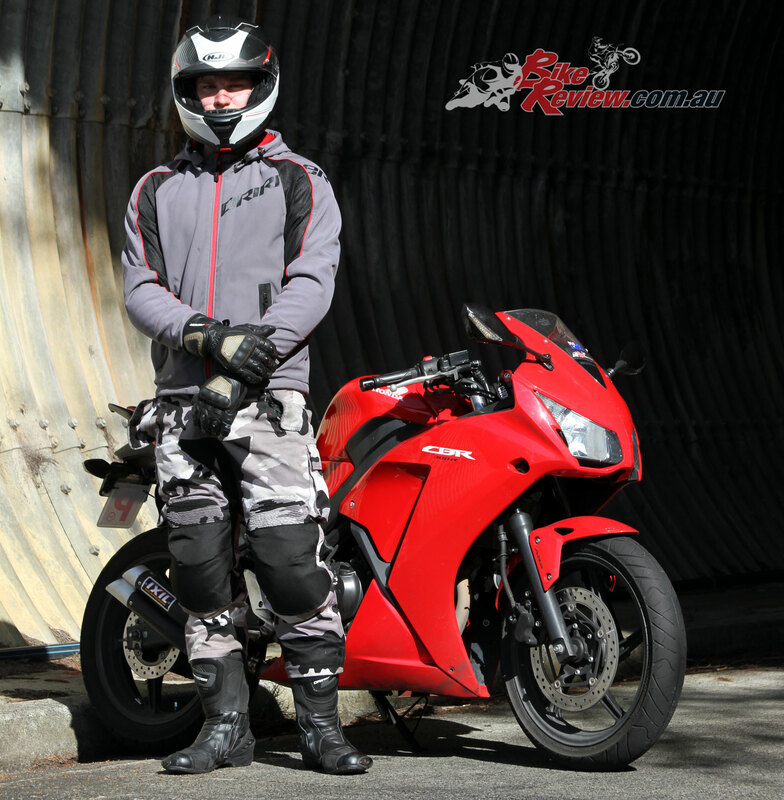 I recommend them to any sportsbike rider who wants to ride in comfort and have a daily boot to wear, and will no doubt be a great option for anyone after basic, good value general road or touring option. 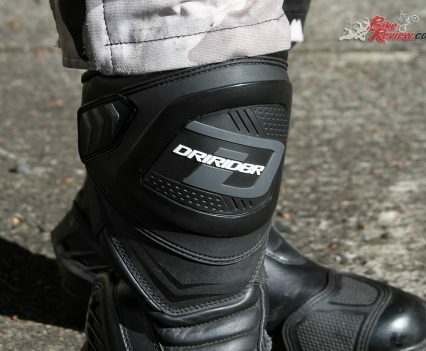 At $229.95 RRP, the DRIRIDER Stealth boot is an inexpensive solution that still brings quality design and construction to the table. 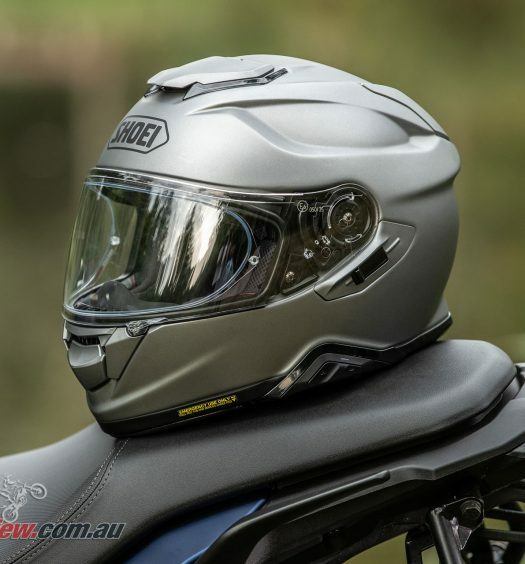 For more information see McLeodAccessories.com.au for the full DRIRIDER range or DriRider.com.au, or visit your local DriRider stockists. 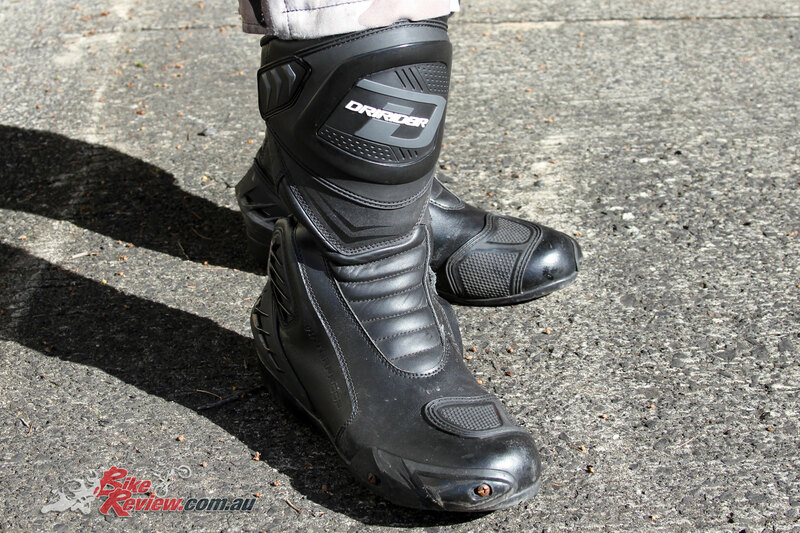 The DRIRIDER Stealth Boot is available for $229.95 RRP in sizes 41-48. 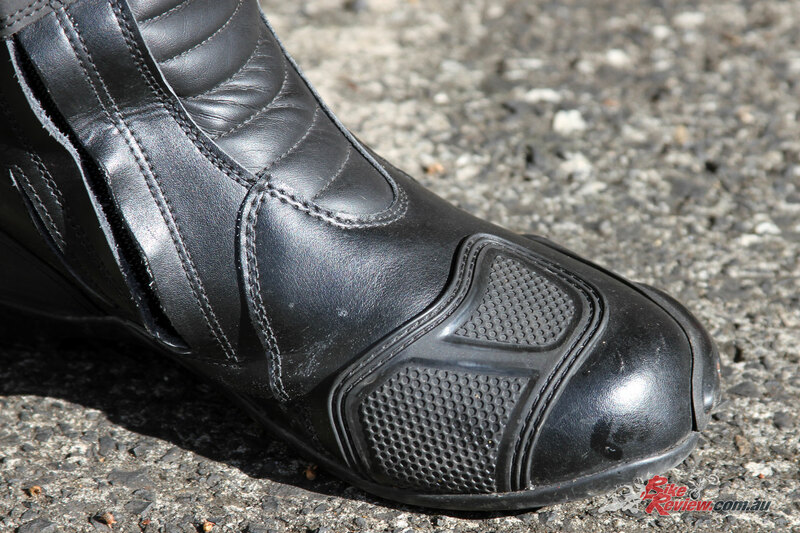 The DriRider Stealth boot offers a competitively priced road orientated sport, touring or everyday option, with good protection and a PU leather construction, alongside Hipora waterproof lining.